Cute elephant design makes it more attractive with kids. 2.Unfinished magnetic writing pen and endless use for a piece of paper and has a comfortable handle. 3.Can easily erase the drawing and writing with pull tool and won’t worry that pens will dirt your baby’s clothes. 4.Babies can write and draw freely and train your baby's interest in painting and creative thinking. Product Specification: Approximate Size: L x B x H: 32 x 9 x 2.5cm Color: Pink. 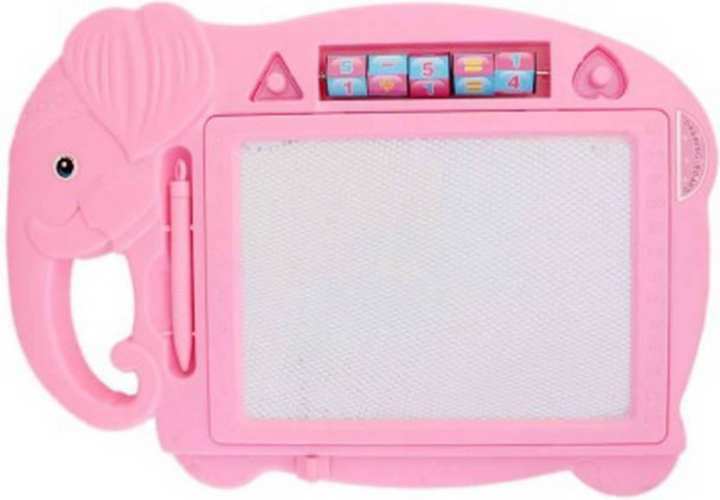 Package Includes: 1 x Magnetic Drawing Board 1 x (Magnetic Pen Included) Material: Plastic.